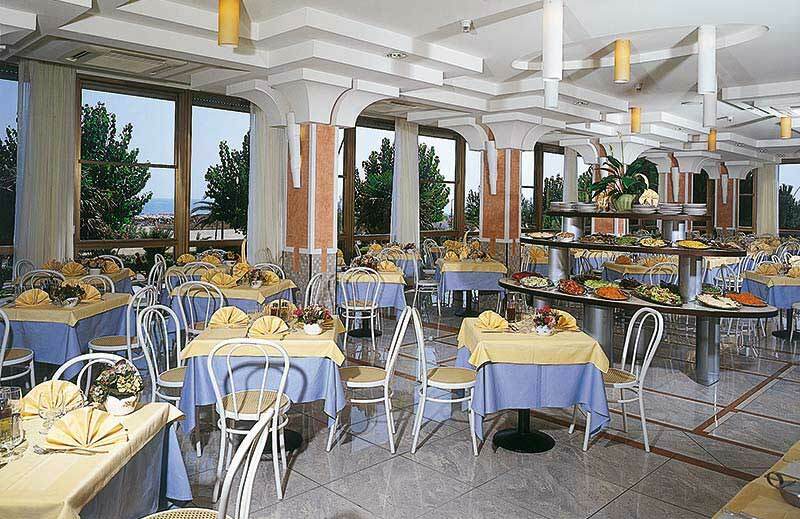 The restaurant with panoramic view of the Sporting Hotel, proposes a choice of menus for lunch and dinner. 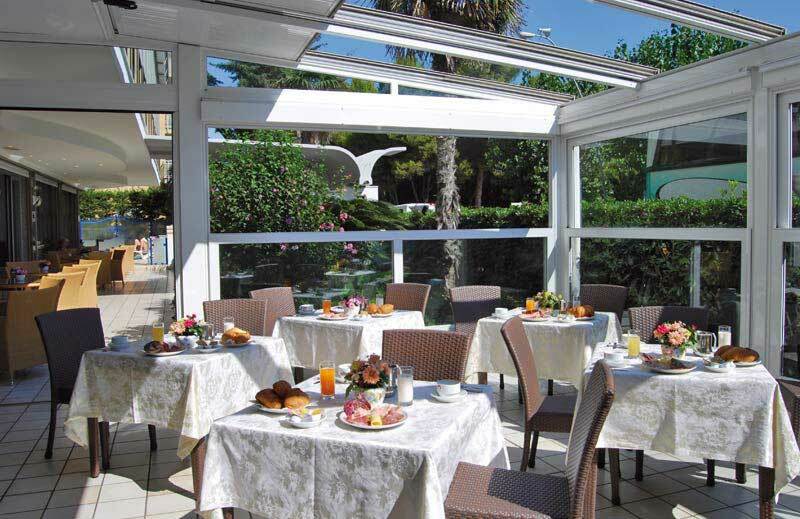 Great attention is reserved already from breakfast with Italian croissant, served always hot, omelette prepared directly by our chef and a rich buffet: yogurt, cereals, fruit, fresh, ham, tarts. 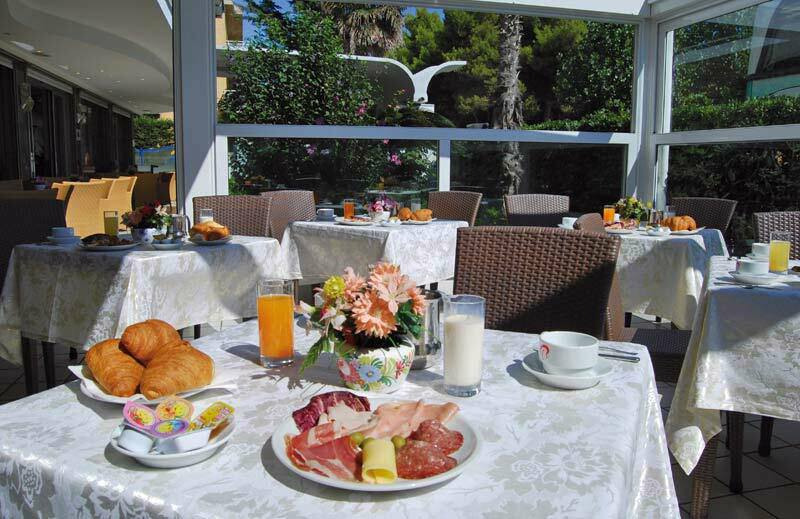 Breakfast is served in the veranda, in the garden. The kitchen has all the days of a great variety of fish to better satisfy the needs of large and small. Buffet of vegetables, salads, vegetables and many appetizers will satisfy even the most refined of palates. For those who cannot do without vegetables: great buffet of hot and cold contours, over 14 types of vegetables for lunch and dinner. In addition to proposed menus we remember the availability of our chef in changing the dishes, adapting them to the particular needs, without any additional cost. Maximum availability for people with celiac disease and vegetarians. Submit our newsletter service and stay tuned with our offers. You'll get it into your mailbox.